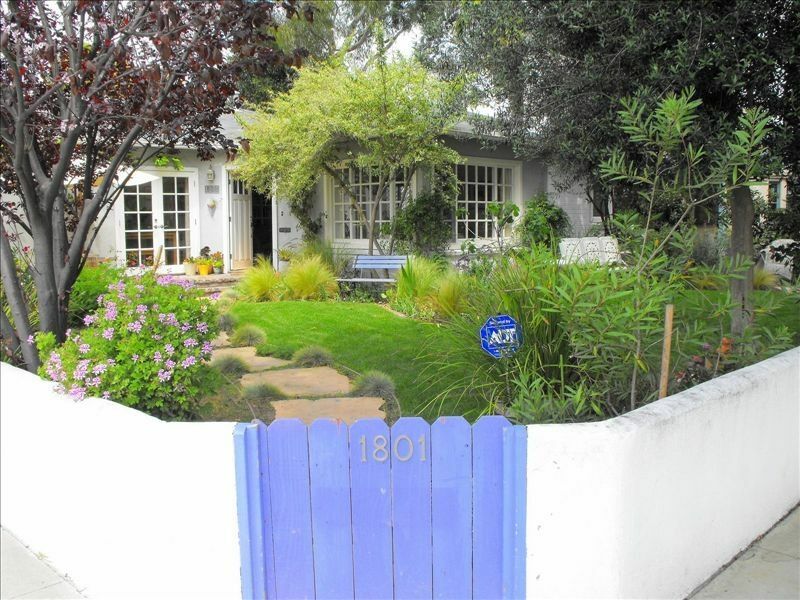 Enjoy a real vacation in our home - a writer's house, newly remodeled on a tree-lined street minutes from central Santa Monica, excellent restaurants on Abbott Kinney Boulevard and shopping on Main Street and the Santa Monica beach. We will live on the property during your rental. There are excellent weekly farmer's markets nearby in Venice and Santa Monica on Wednesday, Friday, Saturday and Sunday. Enjoy our 2,000 book collection of history, fiction and non-fiction from around the world and our extensive DVD collection of French, European and American films, both historical and contemporary. We have a private terrace between the house and the guest house for you to enjoy. My husband is a writer. I am a producer. Our house is full of books, DVDs and music for you to enjoy. We have a quiet, private walled back garden which is lovely to relax in year round. Sunset Park is a quiet, safe neighborhood, apart from some planes leaving the local small airport in the weekends. It is great for bike riding and walking. Five minute drive to the beach, to great shopping on Main Street and Abbott Kinney and to the Santa Monica Promenade and newly rebuilt mall. Our family celebrated the holiday in this lovely home and it was completely perfect. Our adult children live in Southern California and we were able to enjoy our time together just as if we were in our family home. The ocean is close enough for a daily walk, which we also enjoyed. The many books made us feel right at home! Our family of 6 thoroughly enjoyed our stay at this lovely house. It had everything we needed and was close enough to the sights we wanted to see but far enough away to be nice and quiet. Between the art, impressive movie collection and nicely appointed kitchen we didn't want to leave. If we are ever headed to Santa Monica again, we'll be hoping this property is available! What a beautiful home in Santa Monica. Fantastic outdoor space with a hot tub. The house has a brand new beautiful kitchen and overall has a wonderful layout for entertaining. Nicola and Gavin have captivating art work and vintage toy shadow boxes. They were wonderful showing my family and me the house and offering ideas for places to eat and visit. I would highly recommend this home for anyone visiting Santa Monica or Los Angeles. Magnificent home in Santa Monica! Beautiful home in Santa Monica. Fantastic outdoor space with a hot tub. The house has a brand new beautiful kitchen and overall has a wonderful layout for entertaining. Nicola and Gavin have captivating art work and vintage toy shadow boxes. They were wonderful showing my family and me the house and offering ideas for places to eat and visit. I would highly recommend this home for anyone visiting Santa Monica or Los Angeles. What a beautiful home in Santa Monica! Fantastic outdoor space with a hot tub. The house has a brand new beautiful kitchen and overall has a wonderful layout for entertaining. Nicola and Gavin have captivating art work and vintage toy shadow boxes. They were wonderful showing my family and me the house and offering ideas for places to eat and visit. I would highly recommend this home for anyone visiting Santa Monica or Los Angeles.